A bit ago I mentioned contributing to a book called FORGET HOW YOU FOUND US, part of Burrow Press’ 15 Views of Orlando series. Well, the book is out and I received my author copies yesterday! 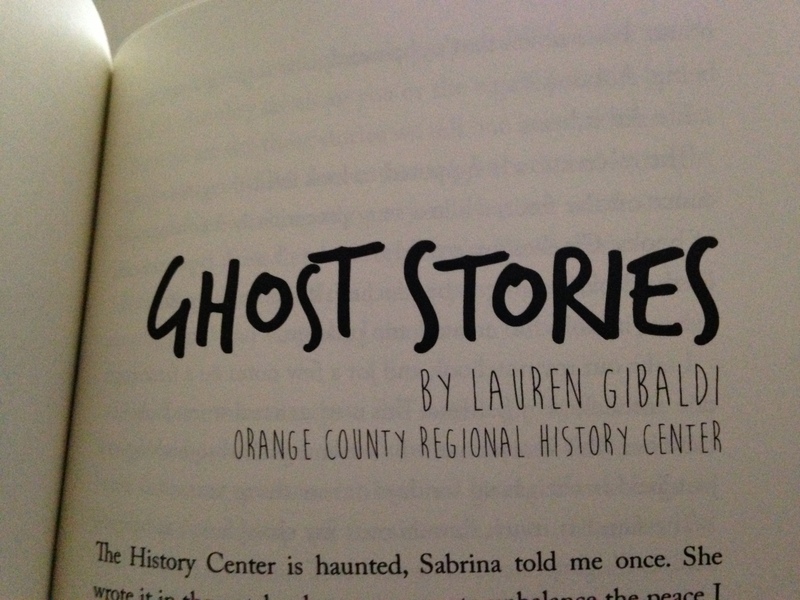 I’m in a book! So exciting! Burrow Press, an Orlando publisher, started a series called 15 Views of Orlando, where 15 writers each contribute their own chapter, with each chapter taking place in a different part of Orlando. The chapters, though separate, must somehow continue the story, whether by elaborating on a character, a location, a theme, etc. So, when writing, there’s no outline, no concrete plot. The first writer creates their chapter, then the second tacks his or hers on. The cool part is that writers have no idea where the plot is going once their chapter is contributed, and have no say in how the story – or even the character they create – concludes. I had the privilege of writing the epilogue, so I was able to read the entire thing. It was weird, concluding a story that I didn’t create, and utilizing characters that started out as other people’s creations. But also extremely fun, because it was a challenge. It was something new and unique. And the plot? So different from the stuff I usually write. And so, the book is out! It’s so neat seeing my name in print, and only adds to the bubbling thrill of TNWSY’s release next year. I’m so honored to be a part of the publication, with all the other talented authors, and can’t wait to hear what people think. 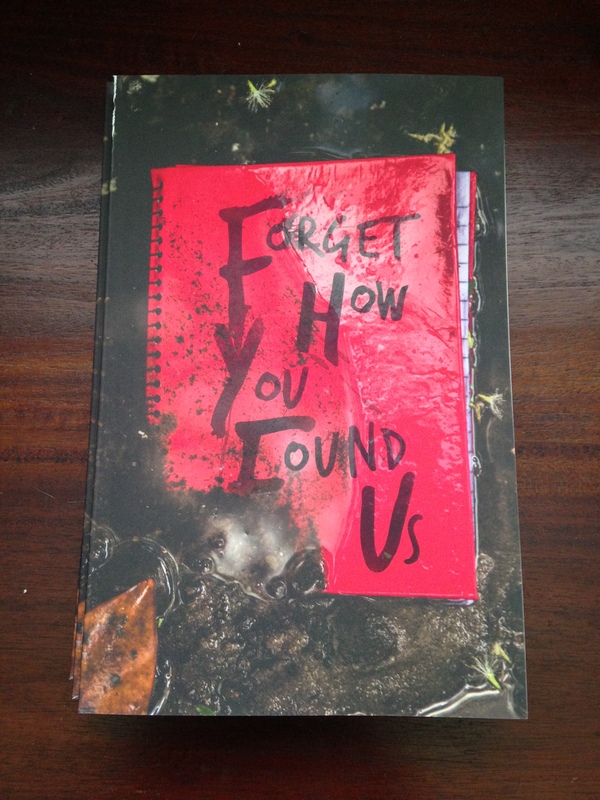 Forget How You Found Us is a loosely linked literary portrait of Orlando, FL as told by the city’s best writers. The stories within follow Olivia and Sabrina, two teenage sisters brand new to the “golf course community” of Lake Nona. Olivia is tired of living in the shadow of her older sister’s rebellion. Since the move, their only communication has been through notes and poems written in each other’s journals. But when Sabrina runs away from home, and Olivia’s only friend mysteriously disappears, a sequence of strange events follow both sisters, as well as a peripheral cast of characters that includes the distraught mother of the missing girl, the groundskeeper of the Kerouac House, a homeless bridge troll, and William S. Burroughs. Read the first chapter here (which was written by a high school student, as part of the publisher’s literary outreach). Congrats! That’s very exciting 🙂 I think it’s every author’s dream to be able to hold their work in print.